Don’t miss out on these fun-filled events in Bossier for February including the Bossier Chamber Annual Gala and the Bossier Night Market. Bring the kiddos out to enjoy a special performance of Sleeping Beauty presented by the Bossier Parish Community College Theatre. With a twist on the traditional version, this invites new characters and experiences set to enchant the audience. This show brings humor and fun for all ages to enjoy. Tickets are $5. 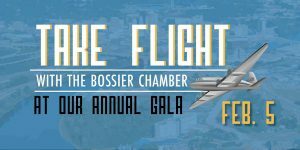 Meet more than 500 business professionals at the largest networking event in Northwest Louisiana hosted by the Bossier Chamber of Commerce. Celebrate the Bossier Parish success stories and learn about what opportunities this year will bring. Meet the new Chamber officers and honor local businesses and outstanding Chamber members. 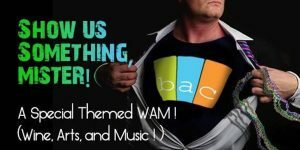 If there is any weeknight event you should attend, go to WAM. This quarterly Bossier Arts Council event hosts the best in wine, art and musical talent and this special event follows a Louisiana-themed exhibit. For $35, enjoy delicious Louisiana cuisine, live music by Brian Sivils and art specific to the pelican state with a Mardi Gras touch. The National Integrated Cyber Education Research Center, the academic division of the Cyber Innovation Center, is set to host the second of three competitions in the Regional Autonomous Robotics Circuit. Students grades second to 12th will build on each competition and expose them to new skills in STEM. Support these scholars as they navigate through integrated challenges. Learn more about RARC and how to register a team here. 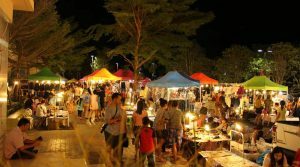 Celebrate the return of the Bossier Night Market at the Pierre Bossier Mall. This night consists of more than 180 vendors providing opportunities to shop one-of-a-kind items. Journey out for a night of family fun with a dozen food trucks, live music and plenty of activities for children. Calling all bookworms! Bring your child out for Apollo Elementary School’s Book Fair. This event follow a dinosaur theme, promising “dino-mite” activities. Throughout the week, the school will have plenty of opportunities to shop during normal library school times. Also from 5-6:30 p.m. on Feb. 14 the shop will be open late for students to choose books with their family and friends. Share this special event with someone you love. 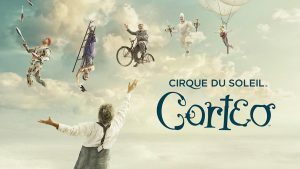 Coreo follows the story of a clown who has just passed away but instead of mourning in sorrow, the cortege chooses to celebrate with extravagant memories that invoke laughter and visions of joy. Watch players tumble and fascinate audiences as you journey through this tale of a life. Tickets start at $59. Don’t have a date for Valentine’s Day? Well, Retro 521 is calling all the singles for its Valentine’s Dinner/Singles Appreciation Night. Come celebrate the blessing of singleness and listen to guest speaker JJ Conway author of “40 Dates in 4 Months.” This event is free to attend and is sponsored by the Kingstowne Family Life Center. You don’t have to be part of a Krewe to enjoy Mardi Gras. Attend the Big Country masquerade party and enjoy the revelry season. Masks are encouraged and the best mask will win a special prize. Complimentary masks and beads are available while supplies last. Enjoy drink specials and champagne and bottle service. For more information, call 318-453-3153. Welcome this Shreveport native home as he brings his musical talents to The Stage. 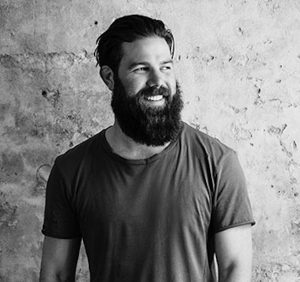 Jordan Davis performs songs so engaging that it is an easy attraction to his words. With songs like “Leaving New Orleans” and “Slow Dance in a Parking Lot,” his music takes you in those moments and gives you a sense of place. Tickets are $20. Dress your pet up for their chance to enjoy a Mardi Gras Parade. Be one of the first 100 to sign up for the parade and receive a swag bag on parade day. Registration is $25 and all proceeds go toward the krewe and its programs. If you don’t have a pet, you can still attend and meet all kinds of animals who dress up just for this special parade.